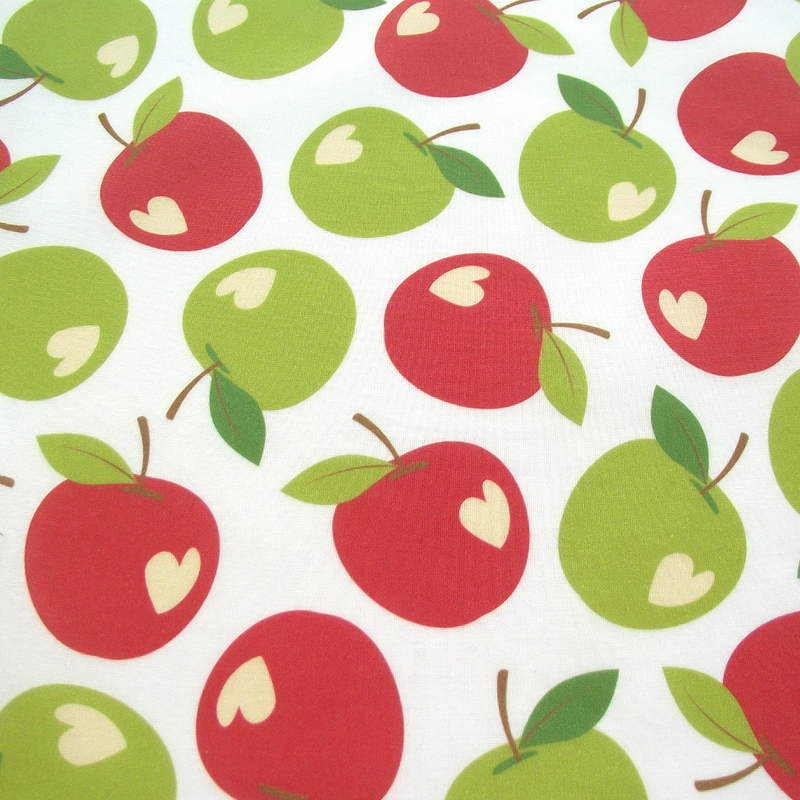 Red and green apples with heart shaped bites. White background. 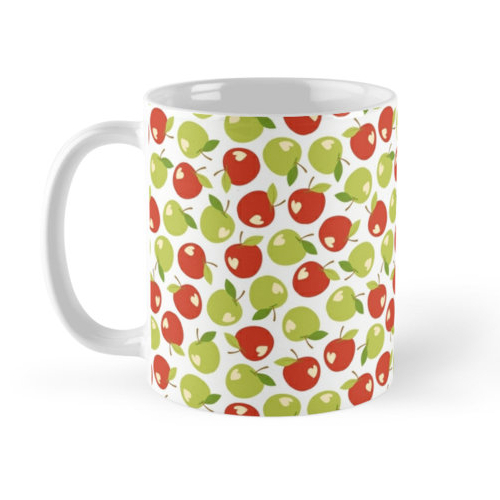 Geometric shapes evoking red and brown apples with green leaves. Brown apple seeds on a light green background. These designs belongs to the Synergy Challenge Collection: Synergy0002 (Apple), and coordinates with other designs in the project. You may sell anything you produce using fabric purchased from the collection. 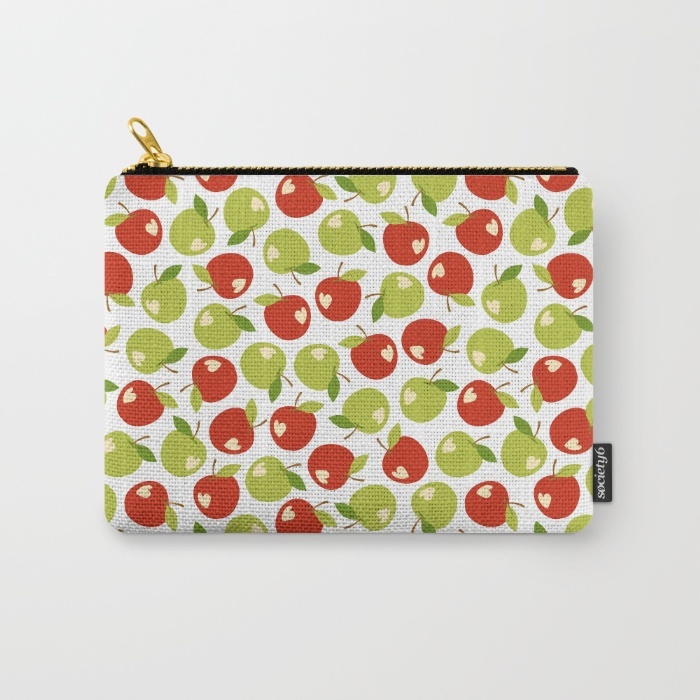 This palette-restricted project uses the colors #CE2E16(apple red), #FDECBE (pale cream), #BAC43F(very light green), #6E961C (light green),#9D6219 (a medium brown), black, and white, and relates to apples. 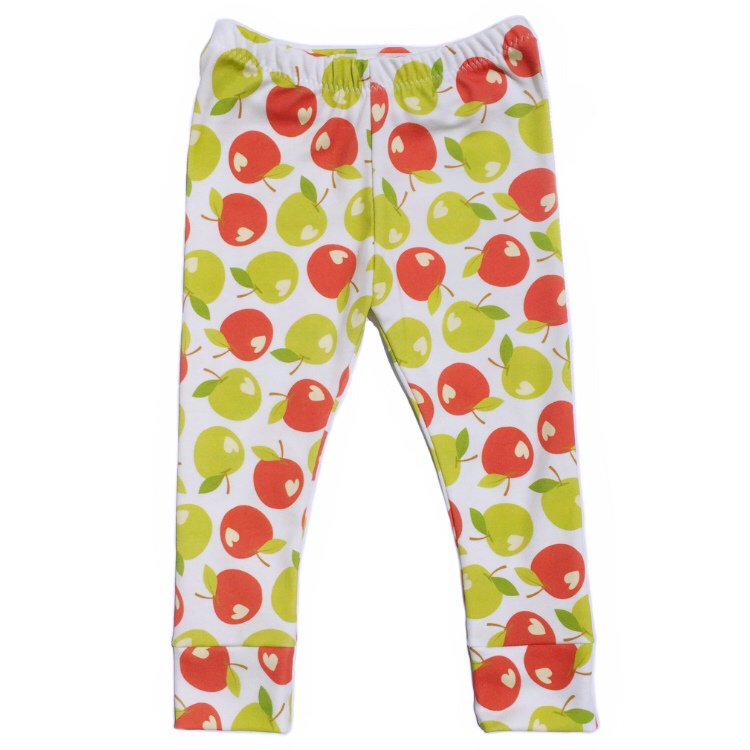 Super soft organic cotton leggings, shorties, and knot headbands for little legs and heads!